Walk to Long Beach in 3 minutes. 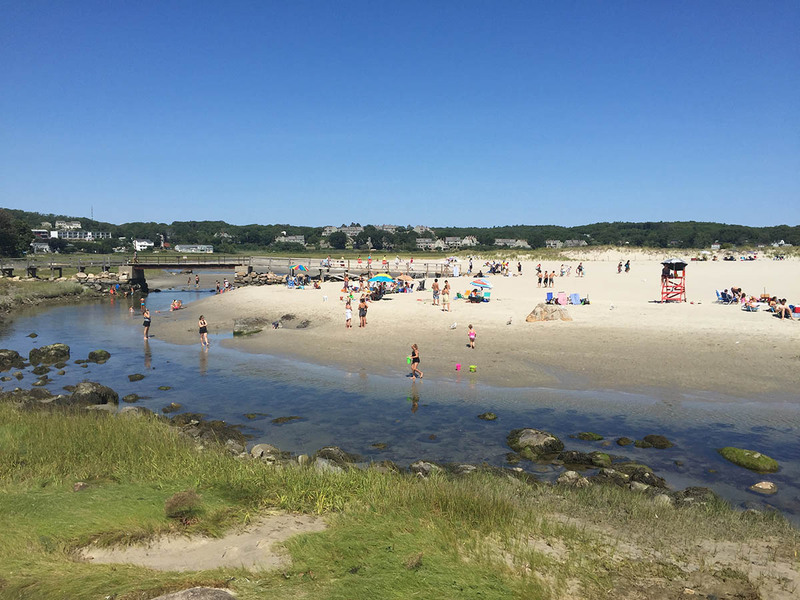 Walk to Good Harbor Beach in 8 minutes. Exterior as seen from the road Living room with pullout sofa Living room into dining area. Living room with flat screen television. Living room with flat screen television. Dining Area Granite and stainless kitchen Granite and stainless kitchen Dining Area into Kitchen Dining Area Sun Room with futon and game table Sun Room with futon and game table Door to back deck from Sun Room Slider to back deck and yard Master with king and door to back deck Master with king and door to back deck Queen bedroom. Queen Guest bedroom Queen Guest bedroom Full bath with tub and shower Half bath that doubles as a laundry room Back Deck Patio at Two Beaches. Back patio with grill. Large back yard. 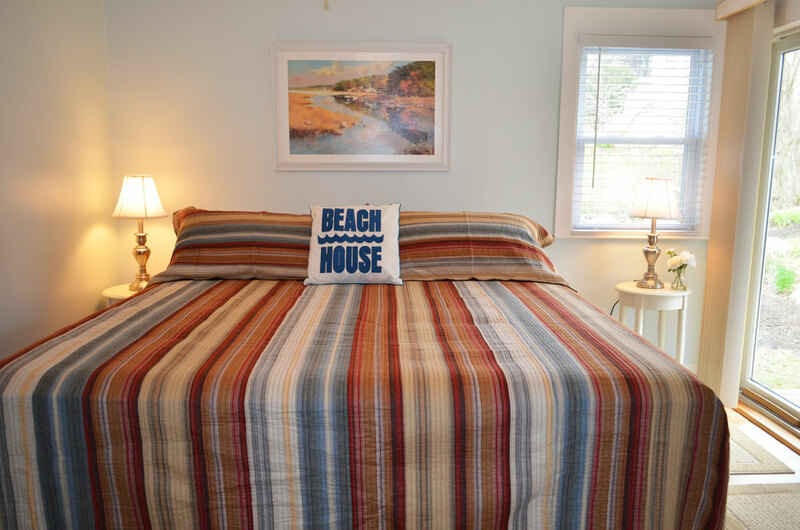 Ideally situated between two of Cape Ann's most beautiful beaches, this ideal vacation rental home is a mere 3-minute walk to Long Beach and an 8-minute walk to Good Harbor Beach. The home has a single level and an open floor plan that offers convenience and practicality. For comfort, each of the three bedrooms has recently updated mattresses, just replaced in 2016. The location for this beach house is especially convenient to many local amenities. In addition to the beaches, in one direction there are super markets, coffee shops, family restaurants and the rest of Gloucester beyond. In the other direction is Rockport, with it famous village center of shops, eateries, art galleries, and the Shalin Liu performance center. 1402 Sq. Ft. No pets. No smoking. 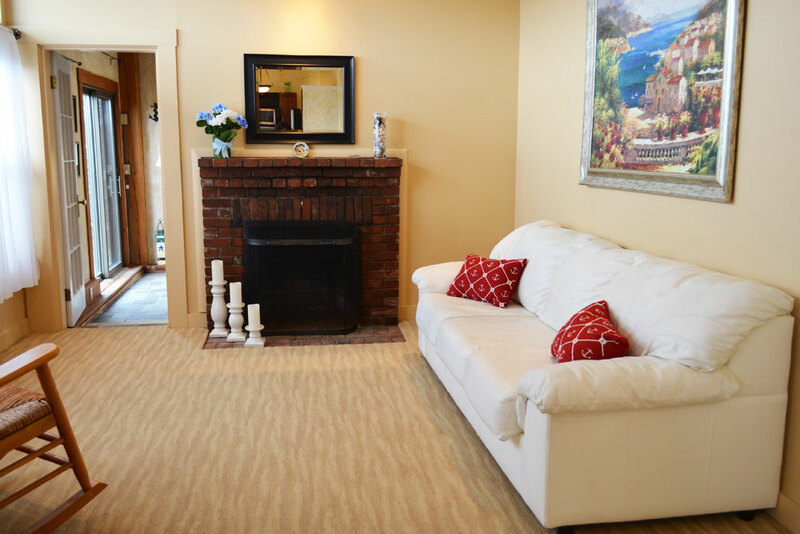 Living Room: A sunny room with large windows, this room contains a 55” flat screen TV, a decorative fireplace, a large sofa, and a rocking chair. Kitchen: The kitchen contains granite counter tops, recently updated stainless appliances, and a gas range. The kitchen opens on to the adjacent dining room. Dining Room: Dining area seats 6 and is between the kitchen and living room. Sun Room: This bonus room is filled with light and contains additional sleeping space in the form of a futon sofa. There is also a card table and a sliding door to the back yard and deck. Half Bathroom: Doubles as the laundry room, with the washer and dryer. Bedroom 1: Master bedroom with King bed and a sliding door to the deck. Bedroom 2: Queen bedroom with floral print spread. Bedroom 3: Queen bedroom with yellow walls. The deck overlooks the spacious yard and features a patio dining set with an umbrella for shade. There is also a gas grill, additional outdoor seating, and a cold-water outdoor shower to rinse off the sand after the beach. There is a circular drive that can accommodate 4 cars. Our two week vacation at Two Beaches Cottage was even better than the summer before, and that’s saying a lot, because last summer was perfect! Throughout the year any communication with the office staff at Atlantic Vacation Homes is consistent, courteous and reliable. Spring and early summer updates via email are helpful and provide useful information. Upon arrival of our stay, the outside appearance of beach house looked lovely, the inside was simple, fresh and clean. The pride of ownership and the pride of the AVH staff was evident throughout the house, and during each day of our stay. Thank you so much for your lovely review. We look forward to helping you plan another incredible vacation next year! Two Beaches Cottage is a lovely property and was the perfect location to host a reunion for my family. 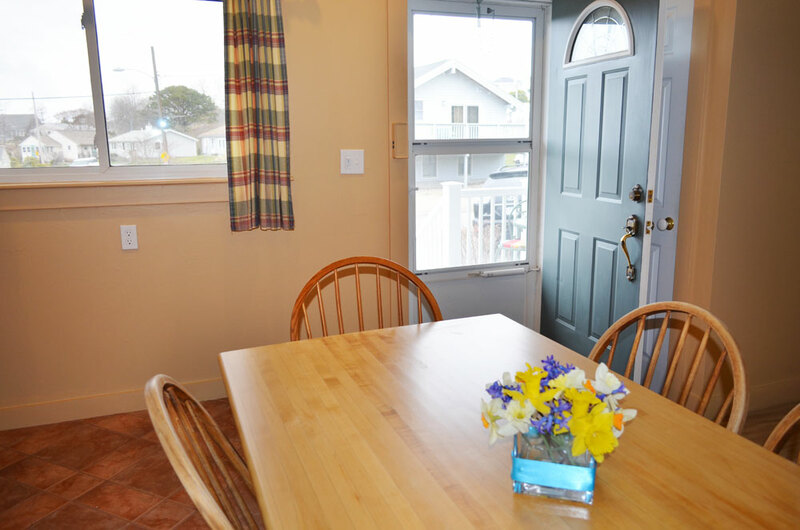 The cottage kitchen is well equipped for preparing and enjoying meals. The living room, sunroom, front and back deck areas, in home washer/dryer, and bbq & yard are all wonderful features. We appreciated the beach chairs and beach towels. I was truly impressed with the ample pillows and bed & bath linens. The layout of the bedrooms and common areas is ideal for group visiting, as well as private time. We did not do any sight seeing, as we had not been together in 2 1/2 years, so used the week for quality visiting time. It really was a wonderful vacation. We loved our week stay at Two Beaches. The house was very clean and well appointed. It had everything we needed, plenty of nice bath towels, beach towels, beach chairs, kitchen utensils, dishwasher, frig all new. The house feels bigger than it is. We had two families in the house and there was lots of room. The beds were new and comfortable, the backyard and porch were a delight. The short walk to good harbor beach was so nice to look at all the beautiful homes and views along the way. This house is very clean and super well appointed with nice towels, kitchenware, bedding etc. You can walk to either beach, probably a drop off in the car if you have little ones and lots of gear to bring. We walked using the awesome beach carts provided. There are fans provided in the house so you can keep the air flowing and with windows open it keeps the house pretty comfortable. The yard is really pretty, nicely landscaped around some very cool rock formations. 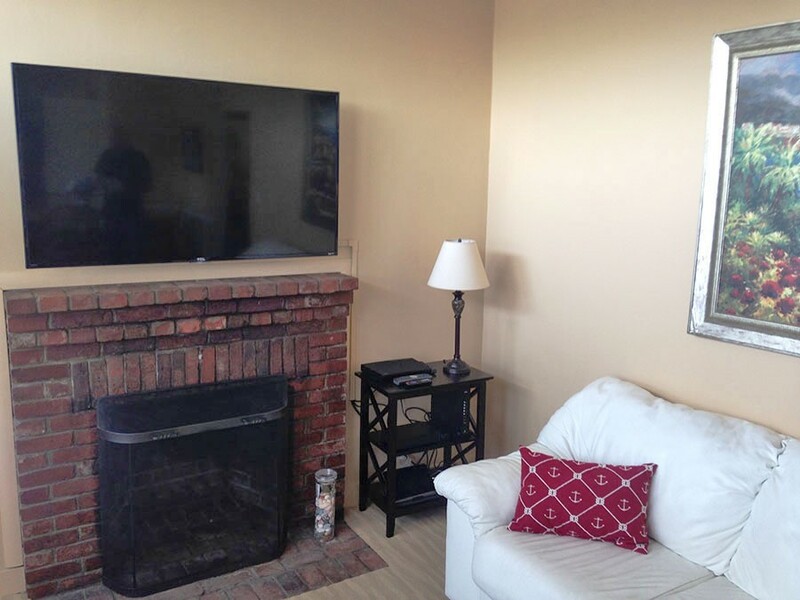 A lot of thought has gone into making this home a great rental. Two Beaches Cottage was a great place to stay. We had a great weather week too! We loved everything about this home--beds were very comfy and kitchen and other rooms were perfect, plus ample parking conditions. Many great features, appealing decor and sweet touches to this place. Thank you so much for your lovely review! We are glad to hear that you enjoyed your stay at Two Beaches Cottage. We look forward to welcoming you back soon. The house worked out great for us. There was plenty of room in the house. The location allowed us to walk to Long beach or Good Harbor. It was nice that they provided beach chairs and towels and other beach gear.